The 25th annual MuchMusic Video Awards (MMVAs) took place on Sunday (June 15) on the streets of Much in Toronto, Ontario, Canada. Kendall and Kylie Jenner, from Keeping Up with the Kardashians, co-hosted the show. With performances from Ed Sheeran, Ariana Grande, Lorde, Virginia to Vegas, Imagine Dragons, and more, the show was a night to never forget. For the first time in twenty five years, Much decided to live broadcast the entire award show online for free—which only means no one missed out on this fabulous event. 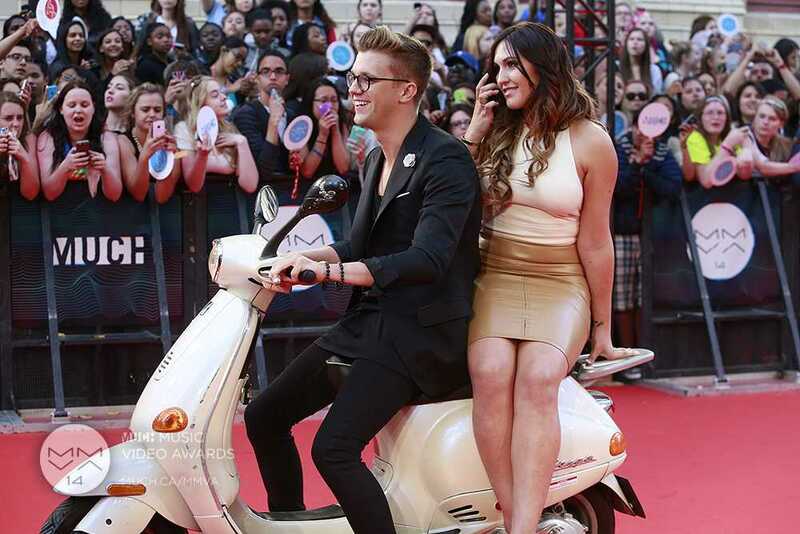 Fans packed the streets, camped out, and didn't sleep, all just for the MMVAs. Everyone describes this award show as a party. It's free, there's no seats, and fans get to hang out with their favorite celebrities? It's no wonder fans are willing to sleep out on the streets and rely on Starbucks coffee and Red Bull. Hedley opened the show with their newest single "Crazy For You," and Grande closed the show with her summer anthem "Problem." Now, let's talk about the crazy award show arrivals. 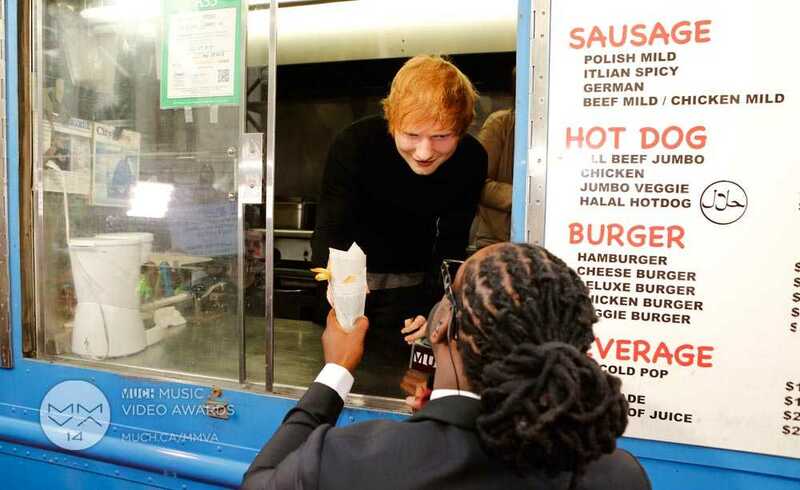 Sheeran arrived on a french fries truck and gave away some food to the fans waiting in the fan pit. Oh bless his heart, he feels the fans' struggle of waiting out long hours in the sun. Marianas Trench arrived on a bed with gorgeous girls and pillows filled with feathers. No can forget Josh Ramsey was busy brushing his teeth, while Matt Webb munched on cereal. The band also takes home an award for the best red carpet arrival. Virginia to Vegas and Reid arrived on a motorbike. Derik Baker cleans up nicely in all black, Reid is a cream-colored top and skirt. The two carry bright and beautiful smiles. 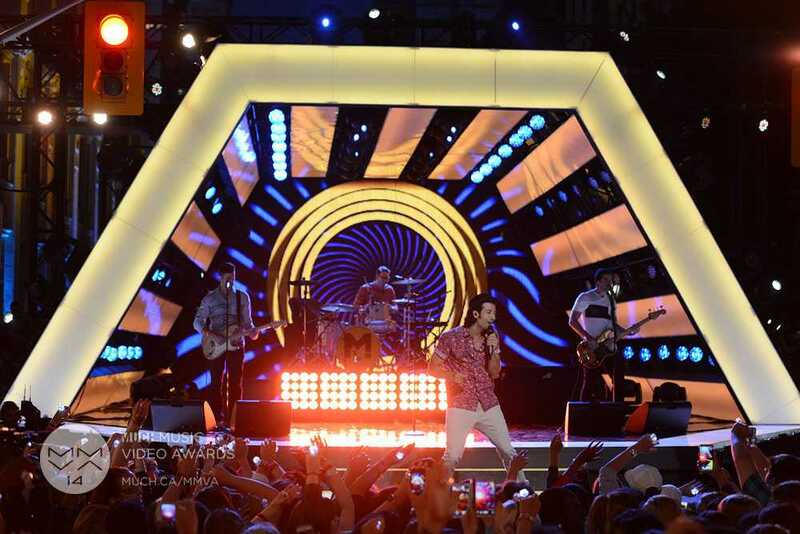 Multiple MMVA-winning band, Hedley, takes the stage first with "Crazy For You." Jacob Hoggard, the singer of the band, takes the stage first on a keyboard. Female dancers dressed in black crop tops/ tanks and red bottoms surround the frontman. Hoggard wears a white dress shirt pulled together nicely with a Y clip dress shirt, along with black dress pants to seal the deal. Hedley never fails to give a fantastic performance. No doubt, props to Much on kicking the show off with them. Who better to pump up the show rather than this band? Hoggard also makes sure to connect with his audience by making his way all around the stage. Straight to the second performance, everybody's favorite British musician right now: Sheeran takes the stage with his new single "Sing." Just give him a guitar and microphone and he'll know exactly what to do. The singer is accompanied with a back up singer and two electric guitar players. Sheeran hits those falsettos and woos the crowd over with his angelic voice. Singing and playing the guitar isn't the only thing he's capable of pulling off, he adds in his rap too. He gets the entire whole crowd singing and fist pumping. Singer and The Hunger Games: Catching Fire star Jena Malone loves herself some donuts and even passes some around to the crowd. Malone is happy, jumping around, before she hands the stage over to Magic! Canadian band, Magic! performs their smash hit "Rude." Everybody knows this track. The lead, Nasri, knows exactly what to do to interact with his audience. As he gets the crowd grooving from left to right, he also makes his way around the stage. During the performance, he grabs many hands from the crowd and joins in on waving his arms back and forth. The most highly anticipated performance of the night comes from Lorde. The 17-year-old performed a medley of "Tennis Court" and "Team." She rocks a sparkly layer of eye shadow and her dark purple lipstick. She wears an oversized suit along with a hat. There's a ton of hand and head motion. Let's not forget the moment she pulled a lamp down and laid side-by-side with the object. Virginia to Vegas and Reid took the stage to perform their gold selling smash hit "We Are Stars." The two perform to prove that they are the stars. To perform at the MMVAs, it's a dream come true for them. Everyone already knows Reid is a true star, they were waiting on Baker to show his true potential, and he didn't disappoint anyone. The entire crowd knew the words and cheered them on. Reid on the piano and Baker on the guitar? They totally nailed it. The two take a twist on the studio-recorded track and bring in a drum to their live performance. Also, they both know how to interact with the crowd, which is always important. The GRAMMY and MMVA award-winning band, Imagine Dragons, performed a medley of their two biggest radio hits "Demons" and "Radioactive." The band dresses up in all black, and various drums are scattered all over the stage. These guys have a name set for themselves, they know what they're doing, and the crowd knows exactly what to do to give them some satisfaction. Grande closes the show with her summer smash hit "Problem." This time, she doesn't wear her black and white checkered outfit. She's dressed a sparkly-silver ensemble. The male back-up dancers who accompanied her wear a leather jacket, with their bare chests revealed underneath. What's a "Problem" performance without the Nickelodeon star popping her booty? She also partly raps Iggy Azalea's verse. Much was definitely saving the best for last. That's a wrap for this year's MMVAs. 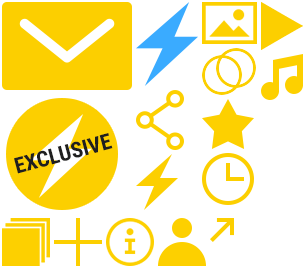 For more updates on your favorite celebrities, stay tuned to Popdust.com and follow @Popdust on Twitter.